Haha - get it - the final push??? As in this is my last baby (last time I'll ever have to "push") and also as in this is my time to get my body back...no more "but I don't want to put the effort in because I'm just gonna get pregnant again". If you follow More Skees Please on Facebook, you might remember that a few months ago I mentioned that I plan on having a "mommy makeover". For me, that will consist of a few medically necessary procedures combined with a few "because I want to" things. Having babies really did a number on my body. Obviously it was all worth it - but that doesn't mean that I don't want and need to address some of the issues that came from carrying 4 children. For instance, my stomach muscles? Caput. 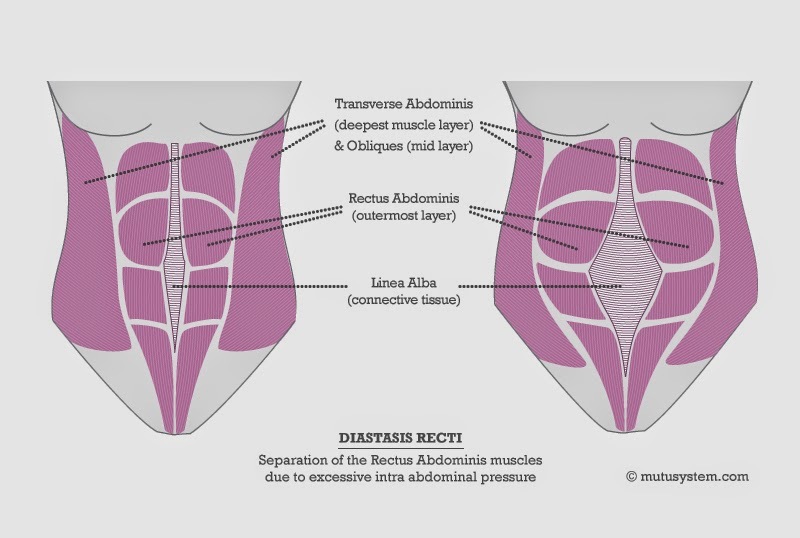 I experienced something called Diastasis Recti - or a separation of the abdominal muscles as illustrated by the image below. I used to be very athletic. I was a gymnast for 8 years. I was on our local swimming and diving teams. I was a competitive cheerleader for many years and was one of those girls that could do all those flips and tucks across the football field or basketball court at halftime. Now? Not so much. And I'm not saying that I want to have my stomach muscles fixed so that I can do a back-handspring again (that ship has sailed...and I'm okay with that), but when I'm laying in bed and have to roll to my side just to get up because it is almost impossible for me to sit up like a normal person...well that is more than annoying. Also, I developed an umbilical hernia after I had Aiden. These are very common post-pregnancy and I had it repaired shortly after having him because even though I intended on having more children, mine was so bad that if I didn't have it done, I was at an increased risk for having it become strangulated. I'll let you google "strangulated umbilical hernia" so I don't have to describe the grossness that it is here in this post. Well after another 2 babies, the hernia reoccurred so I'll have to have it fixed once again. And since I'm already going to be going under the knife to address those two things, then why not go ahead and take care of the less important issues (but still confidence-busting nonetheless). Like the stretch marks. There was no amount of Vitamin E lotions, creams or miracle butter that was going to keep those suckers from making their presence known. Believe me, I tried. And lost. I was going to have all of this done this summer which meant I'd have to drop the baby weight (and then some) pretty quickly after having Nolan. I began planning my liquid diets and excessive workout regime while I was still counting contractions and dealing with heartburn. It's safe to say I started to stress and in doing so, realized if I wanted to do it the right way, I'd have to set a more realistic time-frame. I have decided to give myself a year to lose the weight. I will do more research to determine exactly what I want to have done and then I will choose my doctors and discuss my options without being rushed. With all that said, it is important to me that people know that whatever elective procedures I am having done, I'm doing it for ME. Not for anyone else. Not even for my husband - who lets me know every day that he loves me exactly as I am. But for ME. Plain and simple. I get it, plastic surgery isn't for everyone. I know it's not a magic wand that will make me a better person or turn me into a supermodel. And choosing to have a little work done definitely does not mean that I resent having children or am ungrateful for the experience of doing so. Everyone has an opinion, this is mine. Believe me, it's not a decision I've made lightly. So...with a goal in sight, I begin my Body After Baby journey. I know this will be a huge positive in my life and look forward to sharing my progress as I go! I weighed myself this morning and every Monday I will post an update including weight-loss (or gain) from the previous week. Wish me luck! 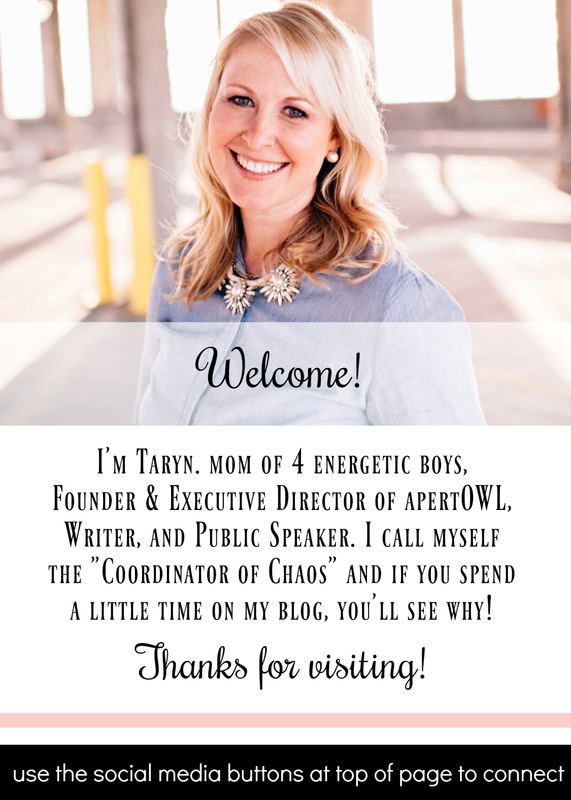 Good luck, Taryn! You will do great! I admire your honesty! It's such a big problem with social media, we all think everyone else's life is perfect because that's all we see. Showing other people our weakness is a great way to build each other's strengths!